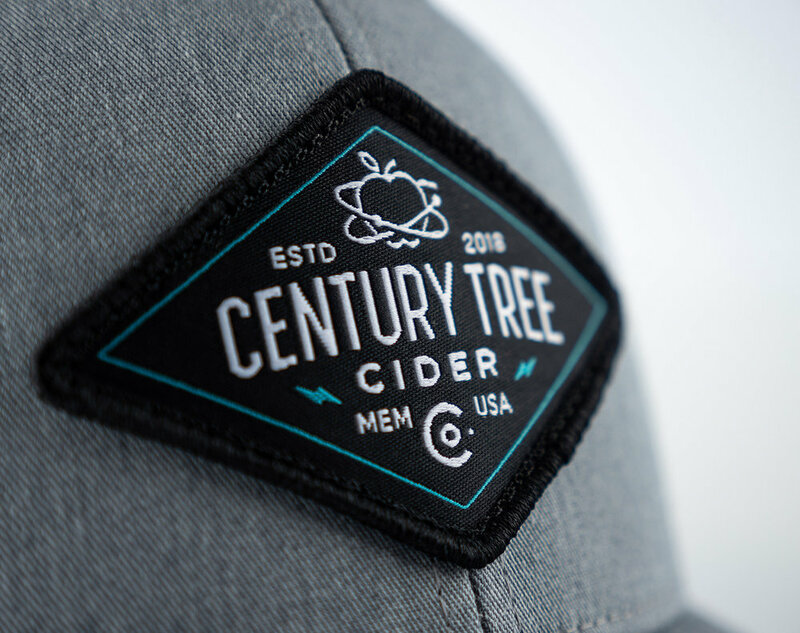 Armed with nothing more than a name and a passion for cider, Century Tree Cider hired us to craft a full fledged brand strategy and identity system to help tell their story and connect with their consumers. Memphis , Tennessee sits as one of the nations most popular cities for food and drinks. A bustling night life with a hyper focus on local small business and community outreach, its growing number of tourists and attractions is gaining national attention. From mico-breweries to their world famous barbecue takes, the city has it all - except for a cidery. Three local residents recognized an opportunity to introduce Memphis to one of the fastest growing beverages in the world, cider. 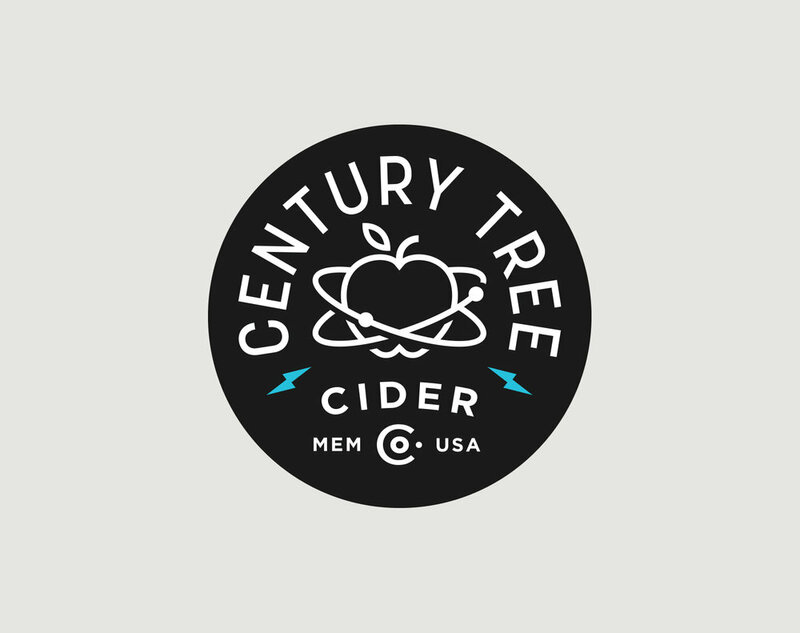 We not only designed a comprehensive brand experience and visual identity, but also developed the fundamental brand messaging to help tell Century Tree Cider’s unique story. Capitalizing on the scientific backgrounds of the founders, (food scientist, chemical engineer, doctor), it was crucial that we brought those skills to the front of the story, to give the consumer something to connect with beyond the cider and provide a scope for the brand as a whole. When it came to building out the visual identity of the brand, we knew that we wanted to tie in each asset with a centered mark. 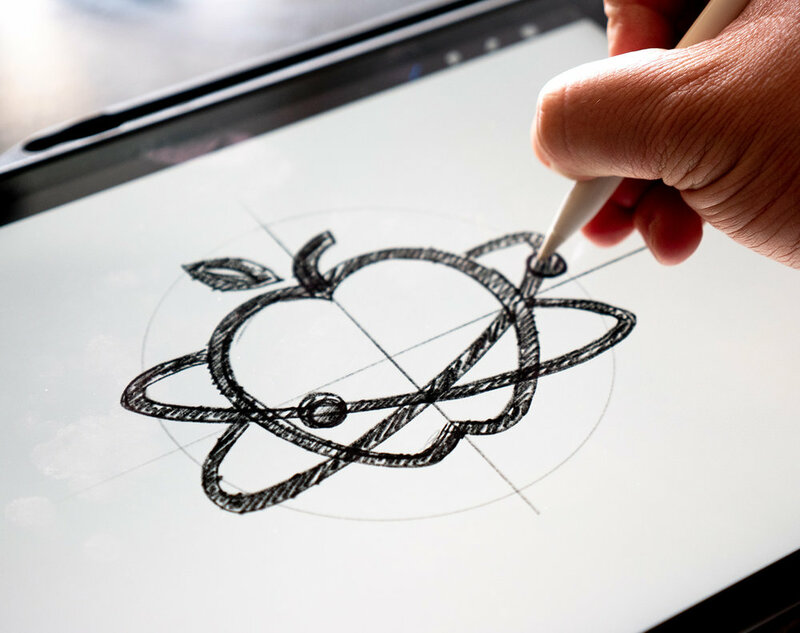 We found inspiration in the atom as it portrays a sense of scientific understanding, and struck a note by incorporating the apple as its nucleus - the center of the atom - much how the apple is at the center of cider, and everything else revolves around that component. 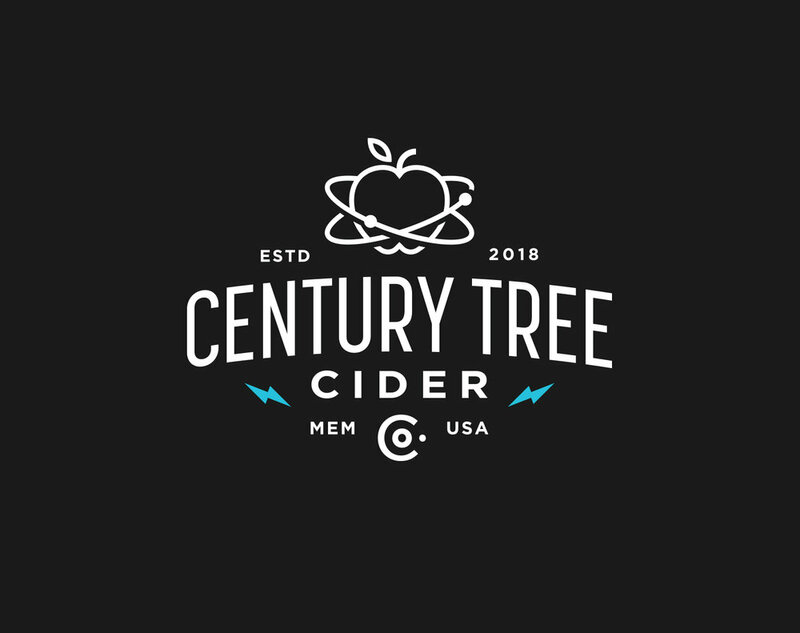 The brand experience ties to the scientific approach to making cider, fueling the curious mind, exploring the unknown, and changing the way we think about cider.